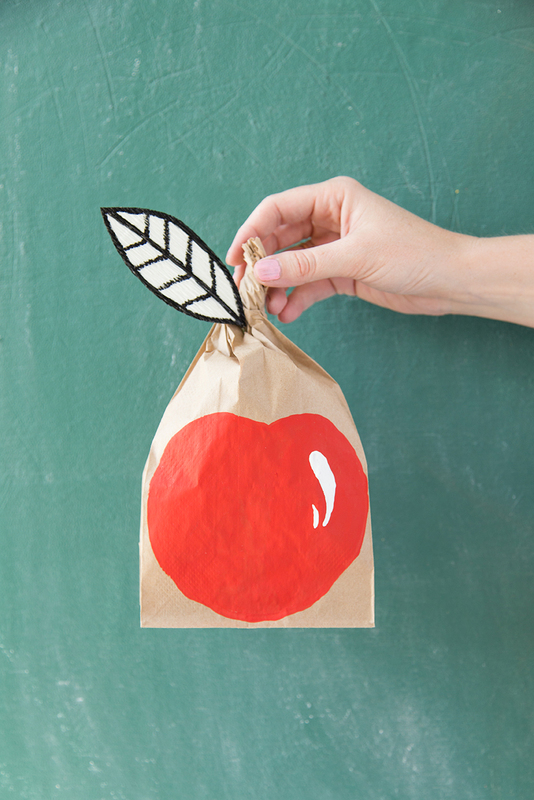 Many of you are heading back to school this week. After a summer of lots of heat even I’m tempted to head back into a classroom with blasting A/C! 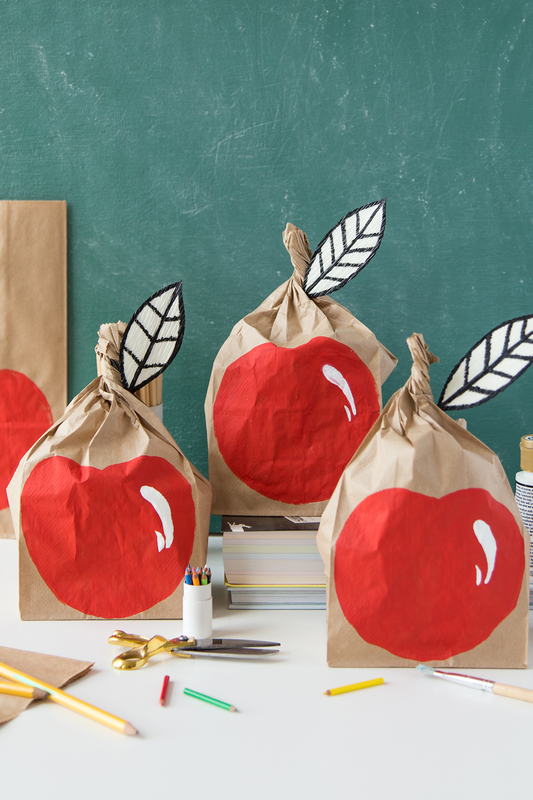 We came up with a cute way to make the first day of school special: DIY apple lunch sack. 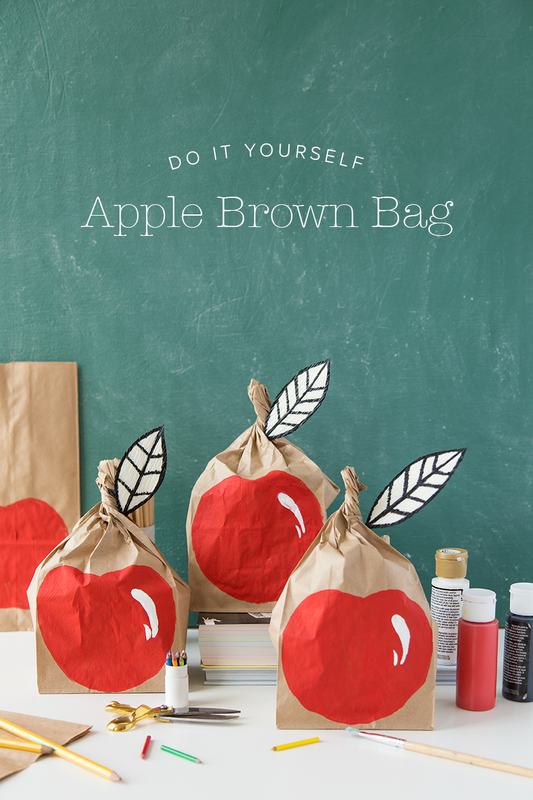 It’s super easy and a fun way to get into the season. 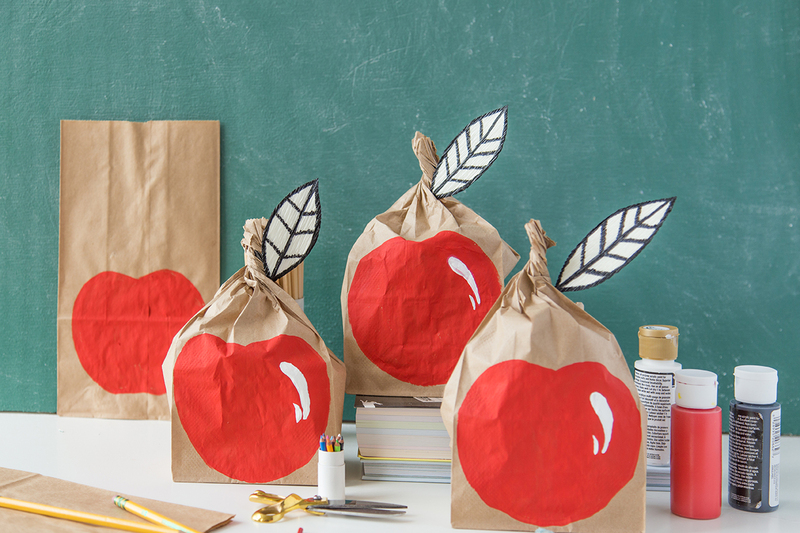 I’ve found them to be cute gift idea too for teachers or just for friends. And, because it’s Thursday,we have a cute video to go with it up on our YouTube Channel (have you subscribed yet?!). 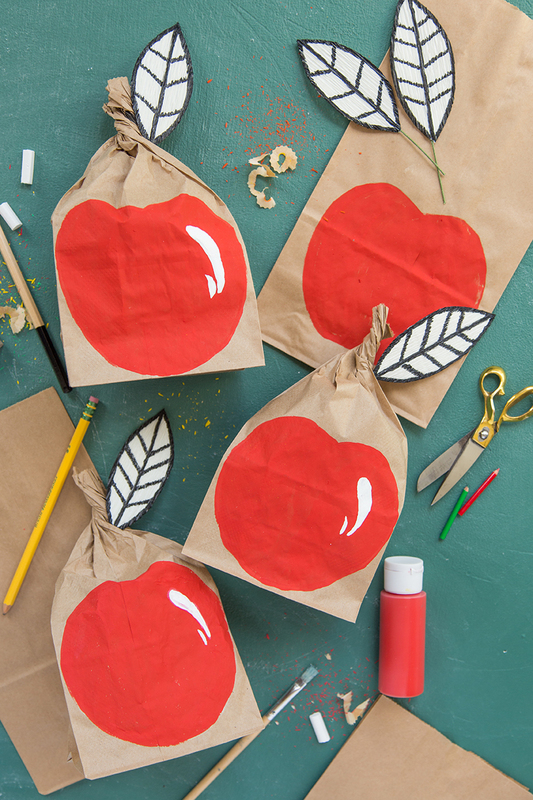 We were partly inspired by Rebecca Thuss’ cute paper cherry to create the adorable leaf perfect for topping the bag.